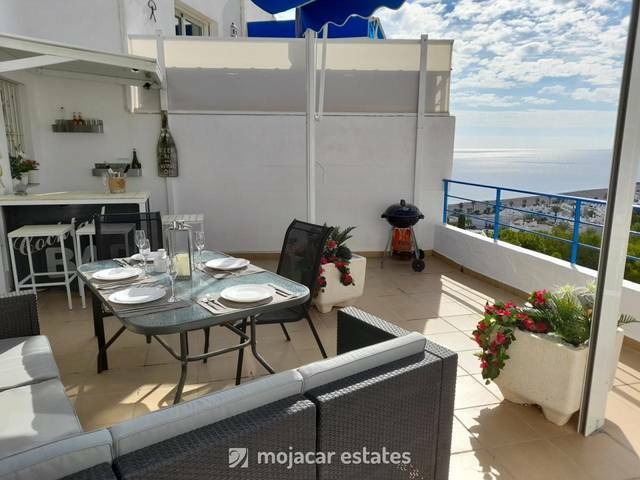 Sea frontline apartment for 4 people in Mojacar Playa close to all amenities. There are 2 bedrooms wit twin beds and one with en suite bathroom, shower room, fully equipped kitchen with dishwasher and washing machine, lovely lounge with Spanish TV and DVD, and access to terrace. Centralised air conditioning. Terrace with awning and dining table and chairs. Sea views.